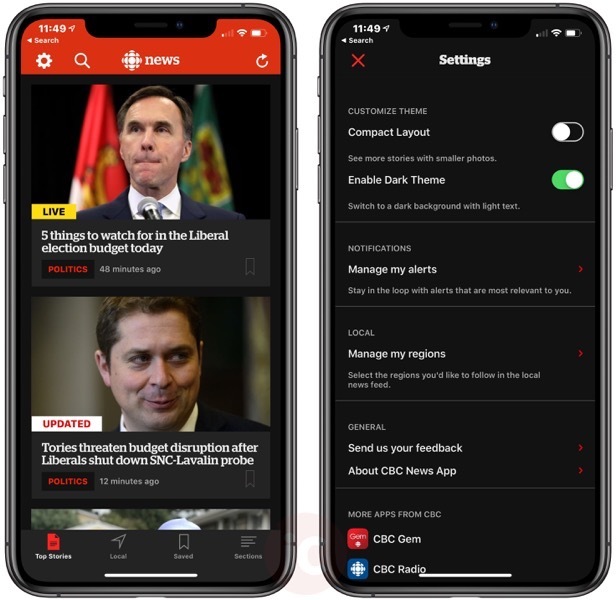 If you’re a frequent user of CBC News for iOS, the app gained an update yesterday to bring a dark theme, which aims to make for an easier reading experience at night. Apple released a dark mode last year for macOS Mojave, but the feature has yet to make it to iOS. 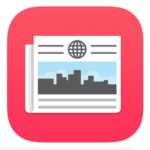 However, Apple is rumoured to unleash a system-wide dark mode in iOS 13, expected to be previewed at the company’s WWDC 2019, set to take place on June 3 in San Jose, California. Click here to download CBC News for iOS in the App Store.